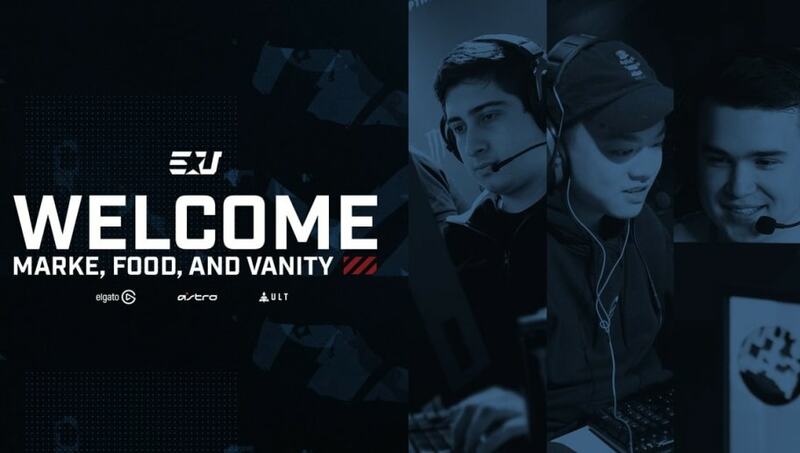 EUnited acquired Counter-Strike: Global Offensive players Anthony “vanity” Malaspina, Victor “food” Wong and Edgar “MarKE” Jimenez from Swole Patrol on Sunday​. Per an announcement from eUnited, MarKE and food will join the ​CS:GO squad as riflers, while vanity will take on the role of in-game leader. They will join Kaleb “moose” Jayne and captain Austin “Cooper” Abadir. Mike “dapr” Gulino and Will “dazzLe” Loafman's contracts will not be renewed. The two players joined in March 2018 ​when eUnited signed the Rise Nation roster. The team struggled throughout that year, which general manager Daniel Clerke ascribes to a culture problem in a statement published alongside the roster news. "This has been a very difficult year for eUnited Counter-Strike," Clerke wrote. "We are very proud of what we have accomplished and plan to improve upon our successes from 2018. With that being said our organization has identified that the best option for our team is a culture shift." "I am very optimistic and excited for the potential with the new team and am excited for a complete reset for 2019," he said.